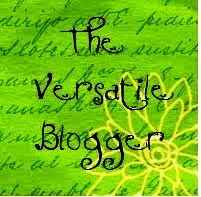 This post is part of A Word A Week Challenge: Face, run by A Word In Your Ear. Akha hilltribe woman, Doi Suthep, Thailand, 1991, by © Caron Eastgate Dann, 2011. Acrylics on canvas board. 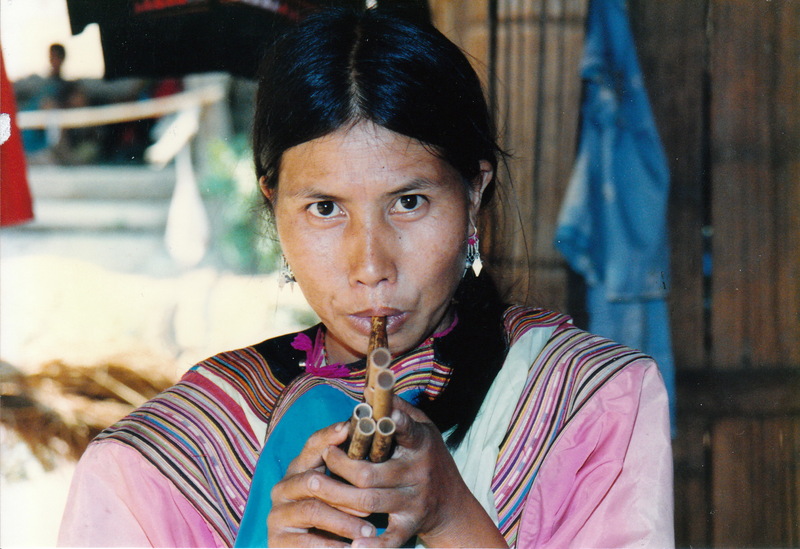 I met and photographed this Akha hilltribe woman at a village on Doi Suthep, near Chiang Mai in Northern Thailand, in April 1991. Twenty years later, when I first took up art as a hobby, I decided to paint her portrait. She always stuck in my mind, because she was the only Akha living in a Lisu village. Through the guide, she told me she was aged 39 and had three children. I had been living in Nonthaburi, central Thailand, since December 1990 and we had taken advantage of the songkran (Thai new year) holiday to travel up north for a few days. The Lisu village we visited was a set-up for tourists really. I still have my journal from that time, in which I’ve written that the Lisus usually live in isolated villages high in the mountains, but this village had been persuaded by an elephant training centre to relocate within a half-hour trek of them so they could bring in tourists to buy their arts and crafts. In those days, the village had no electricity, no running water, no TVs or even radio. In the past, the hilltribes relied on opium as their cash crop, but the Thai government had banned its sale, so they had to find other ways to make a living. Lisu hilltribe woman, Doi Suthep. Photo ©Caron Eastgate Dann 1991. 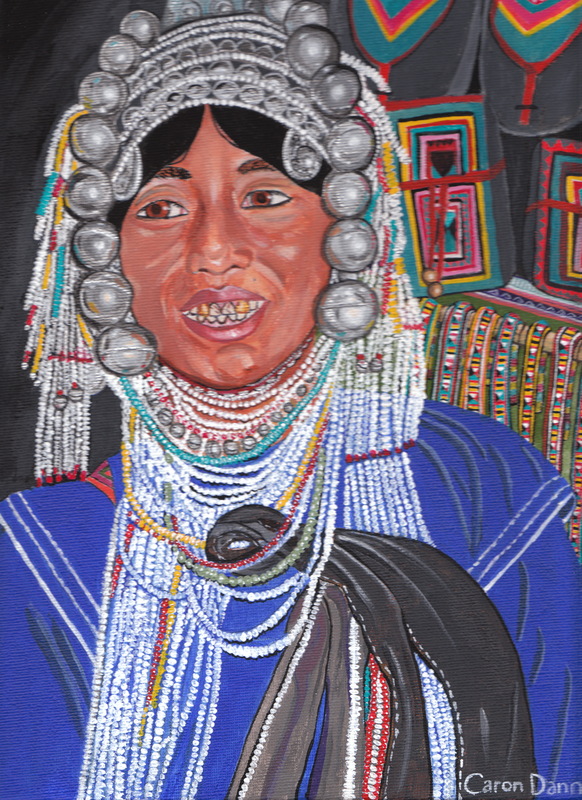 This woman was also at the Lisu village, sitting in the same hut as the Akha woman. They were both doing some sort of needlework. Merchants at a Hmong village, Doi Suthep, Thailand. Picture © Caron Eastgate Dann, 1991. The next day, we went to a Hmong village that was not so far up the mountain and that we could drive into. This husband and wife were among the stall-holders there. All the adults then wore traditional dress and—even though there was an element of showmanship for tourists—I found the images unforgettable. Children at the more isolated village we had visited also wore traditional dress—at least for the cameras—but at the Hmong village, many were wearing T-shirts and track pants. They resist “development” no longer, it seems. 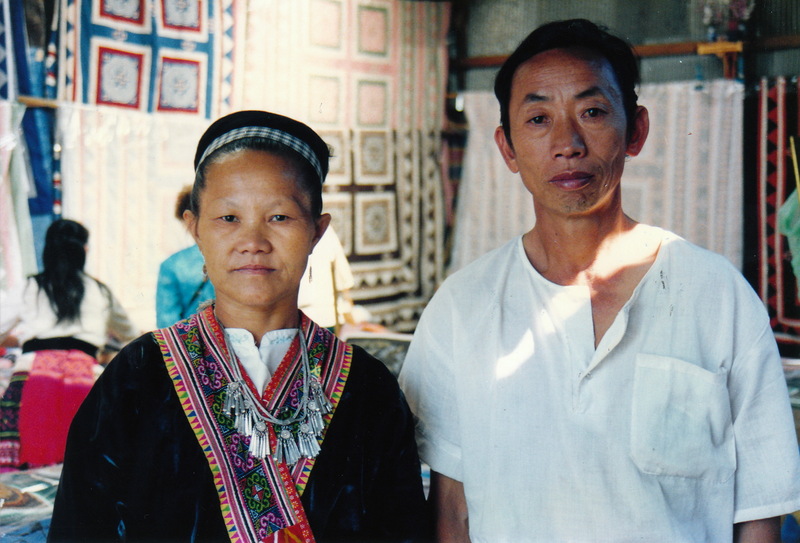 In November 2012, more than 21 years later, I returned to the Hmong village. These days, there are no traditional costumes to be seen, just jeans, T-shirts with marketing logos and other ordinary Western clothes. There are pick-up trucks everywhere. Most people speak English as well as Thai. The village market today is full of the same “hand-made” crafts you can buy in Bangkok, Phuket, or anywhere else. There are still people assembling these goods, but they seem to come ready-made in large batches, to be quickly pieced together on site. Someone is making a fortune, and it’s surely not the hilltribe people.